Weight loss or weight gain are not typical symptoms of IBS. While you might want to place the blame on irritable bowel syndrome, it's not the condition itself that is causing it. However, for some people weight changes occur due to food choices they make in an effort to control IBS symptoms. Plus, your IBS symptoms might keep you from enjoying some physical activities that could build a healthy, lean body. Diet advice you see for the general population can be hard to apply to how you cope with your condition. On either side of the spectrum—losing too much weight or gaining too much weight—there are ways to focus your eating habits to enjoy good nutrition and achieve a healthy weight. There are three main factors where having IBS can contribute to habits that result in gaining weight or making it more difficult to lose excess weight. You might find yourself gaining weight because you limit yourself to "safe" foods that aren't necessarily the healthiest. These may include gluten-free foods that are packed with sugar and unhealthy fats. You might look at the list of high-FODMAP foods and see it includes fruits, vegetables, and legumes and be avoiding them, turning to higher calorie and less nutritious choices. It is possible to maintain and lose weight on a ​low-FODMAP diet, but you may need to follow a structured plan or consult a dietitian to do it right. Weight gain may also occur as a result of an inability to exercise regularly due to disruptive IBS symptoms. Exercise is important for building muscle and lean body mass as well as burning calories. While there may be some activities, such as running, that set off diarrhea, there are ways to enjoy exercise and physical activity when you have IBS. Lastly, IBS can result in bloating which would make a person look and feel "heavier." It is possible to lose excess weight with IBS by changing your eating habits and getting more physical activity. 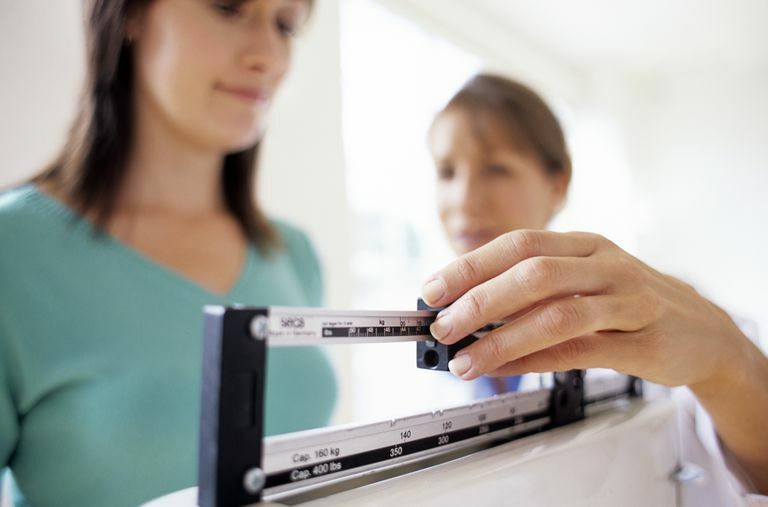 Weight loss can occur if you try to cope with the disorder by strictly restricting what you eat. However, this is not recommended as a treatment for IBS as it could result in malnutrition. A better strategy is to learn what foods your body can best tolerate. There are many tips you can follow for gaining weight with IBS include not skipping meals, eating an extra meal each day, eating more seeds, nuts, nut butters, trail mix, avocados, low-FODMAP fruits, green smoothies, and healthy oils. IBS can make weight loss and weight gain more challenging. Many of the recommendations you see for people without IBS are harder to apply to your situation. It can be helpful on either end of the weight loss/weight gain spectrum to ask your healthcare provider for a referral to a registered dietitian to help guide your food choices and devise a plan for you in light of your IBS. If you try advice on your own and aren't achieving your goals, consider taking that next step. Managing Overweight and Obesity in Adults National Institute of Health. 2013.